I hope you are all doing really well and enjoying your weekend? I've had a pretty good weekend and after a long hard week it's always nice to be at home and be able have a few cheeky glasses of champagne and just enjoy some quality time with loved ones (and of course to blog) Today, I'm back with another fab beauty box and its safe to say Latest In Beauty nail it when it comes to quality beauty boxes and their collaborations are always impressive and NEVER underwhelming. 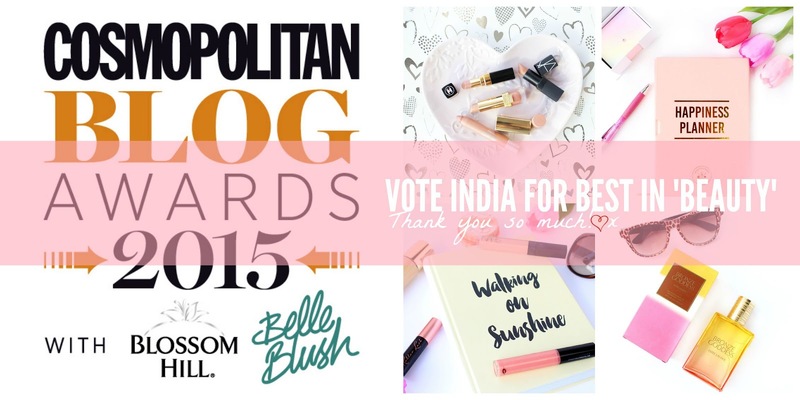 I was lucky enough to review their ‘Glamour Beauty Power List Edit’, which was such an awesome box! 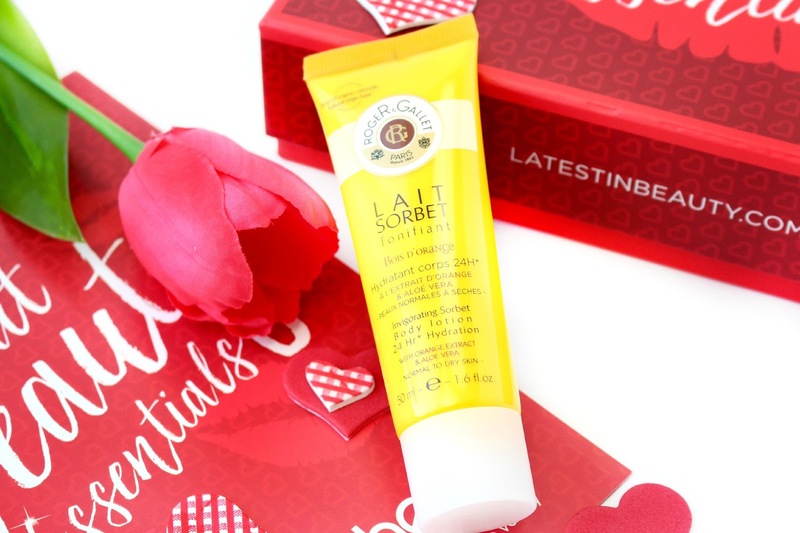 You have to take my word for it (see review) Today I’m back with 'The Heart Beauty Essentials Box' which I can also say is totally awesome and I’ve been super excited to share this collaboration with you. 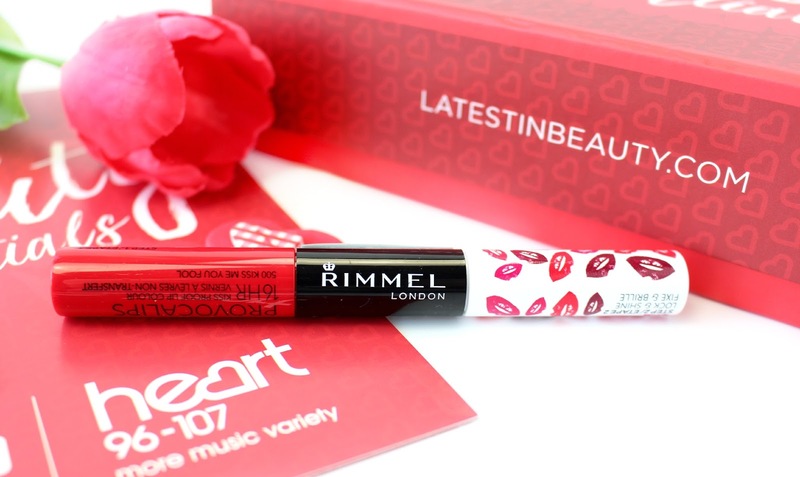 The fab Beauty Team at Heart FM 96-107 have really gone to town with some amazing beauty goodies! The contents are worth over £70 and the box costs just £17.99 - However, you can get 20% OFF by using the code 'HEART20' and to make it even better FREE P&P. I hope you enjoy this review lovelies and I would love to hear from you in the comments section below. You can also use my social icons if you would like to get in touch a little quicker. 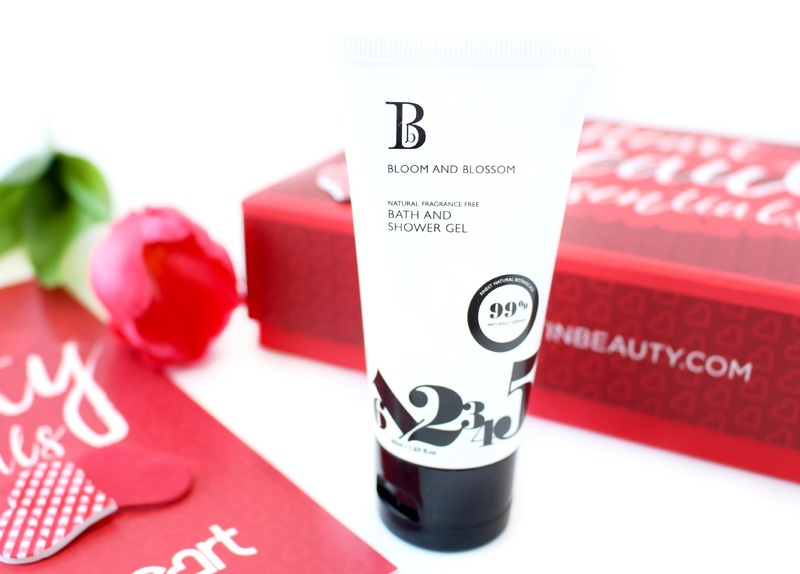 First up we have the Bloom and Blossom Bath and Shower Gel. Bloom and Blossom are actually a new brand to me, but their Bath And Shower Gel is 99% naturally derived and formulated with a sulphate-free foaming base to gently cleanse all skin types. Fortified with vitamin E and organic cucumber extracts, it is described as being gentle enough for the whole family to use! It’s definitely nice to see a super gentle shower gel within the box, as it’s pretty hard to find ones without perfume and harsher ingredients. Now I know not everyone is a fan of face wipes, but I LOVE them. 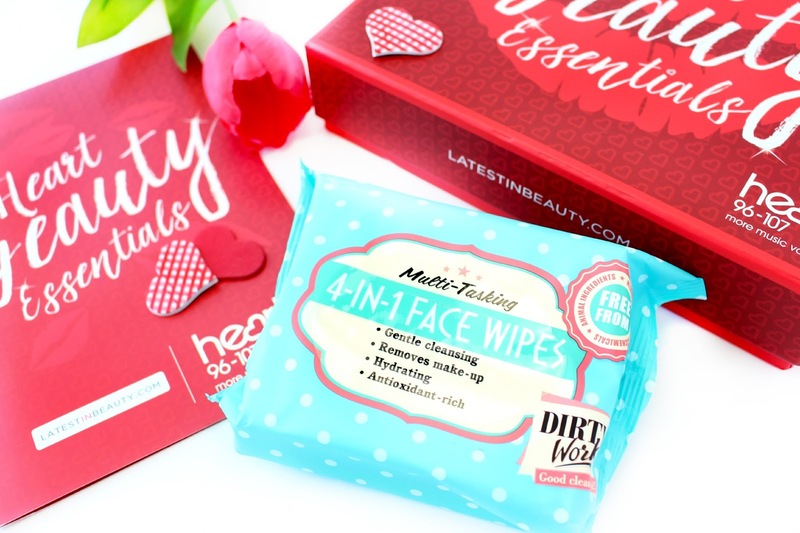 I tend to keep them in my bag for beauty emergencies (or just a foundation patch on my hand ha) The Dirty Works 4-IN-1 Wipes are boosted with skin soothing marshmallow and are free from SLS, mineral oils, alcohol and animal ingredients, which again is great to see. I love the super fruity and fresh scent of these and after using them a few times to remove any excess makeup/residue after cleansing I’ve actually started to really like these. Apart from their super long product names Roger & Gallet are seriously amazing. Every product I have tried previously has been so hydrating and just wow, so as you can imagine I was super excited to see this product within the box. Enriched with a complex of naturally derived oils, aloe vera and citron, this lotion has a light formula that will hydrate up to 24 hours! LOLA are also a new brand to me and even though I haven't tried their polishes before this particular shade looks like the perfect choice for Autumn/Winter. LOLA polishes are formulated with expert gel III technology which ensures fluidity, as well as a high gloss and resistant finish. Lets just appreciate how gorgeous these are? I'm forever breaking hair bands with my long thick hair, so these were a very welcomed and super cute addition to the box. These hair ties are specially designed to be kind on your hair and cute on your wrist, meaning they are crease-less and do not bend your pony tail or get caught in your hair. They can even double up as a cute bracelet. Who else remembers when Hydraluron broke the beauty-stratosphere? I purchased the serum amongst the hype and actually did really like it at the time. However, since using it I haven't repurchased, so it was fab to see the moisture mask in the box. These unique masks have a 3D enzyme structure for optimum moisture that results in softer, smoother, healthier-looking skin that glows. I've actually used this and definitely found it to be super hydrating, but slightly messy applying ha! I have to admit I was most curious about this product and how I would get along with it. The Philosophy Microdelivery Peel is described as being a weekly two step in-home peel that helps to brighten and smooth the skin. It also helps to reduce the sign of ageing and enhances the performance of follow up skincare products. I decided to try this the other evening and I was so impressed. After applying the crystals and massaging them into the skin for a few minutes I followed up with the activating gel, which warms the formulation and results in a white foam. It was easy to wash off and my skin felt seriously amazing after using this! I'm definitely purchasing once I use up the sachet! 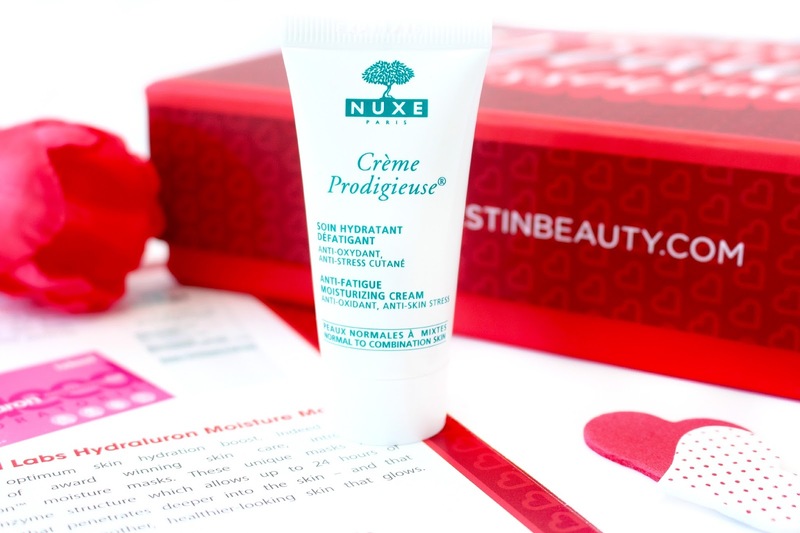 I absolutely love my NUXE lip balm, but haven't really tried any other skincare products, so I was excited to see this moisturising cream within the box. The Nuxe Prodigieuse Moisturising Cream uses Blue Everlasting Flower to moisturise, revive and protect skin from oxidative stresses. I took this cream to Dubai with me and it worked really well for my skin! It's very nourishing and think it would make a fantastic moisturiser for the winter, plus it smells absolutely amazing! The Urban Veda Hydrating Toner is naturally formulated to Ayurvedic principals; this must-have toner infuses skin with botanical extracts leaving you with clean. Hydrated and beautiful skin. There are a few variations and I received the 'Brightening' version, which I was very grateful for. So far I really like this toner and have seen results, but the scent is quite strong and slightly powdery, which might not be for everyone. 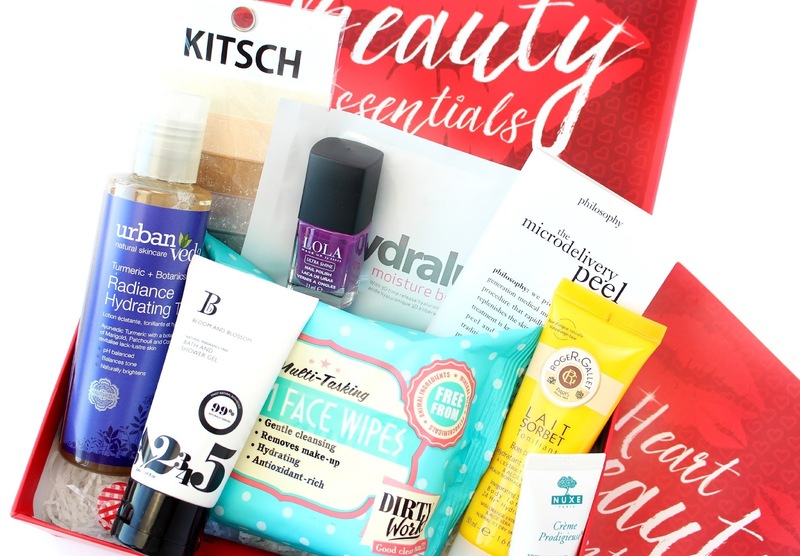 This is my second beauty box from Latest In Beauty and I honestly think that their boxes are the best in terms of the collaborations and the quality and size of products you get. 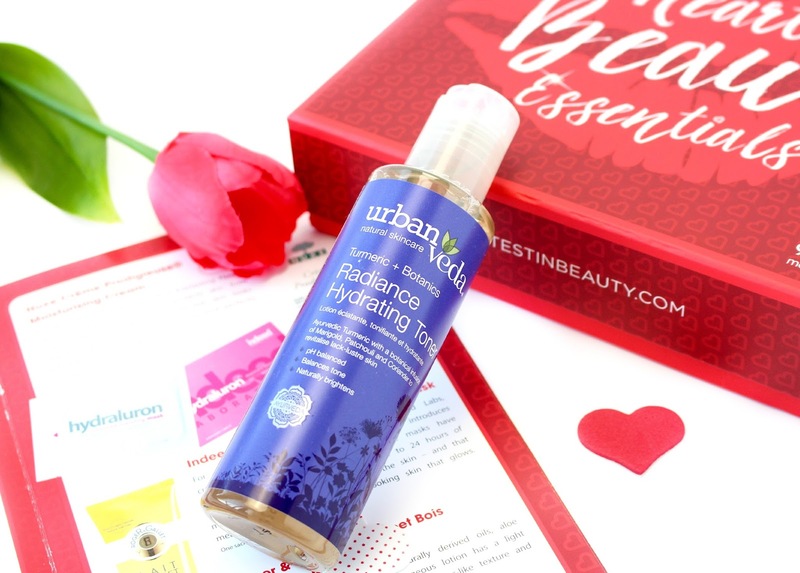 Their service is slightly different to other beauty boxes as they focus more on 'one off' boxes opposed to a subscription service. You can also build your own box without any pesky hidden fees which of course is great! No one likes hidden fees ha! 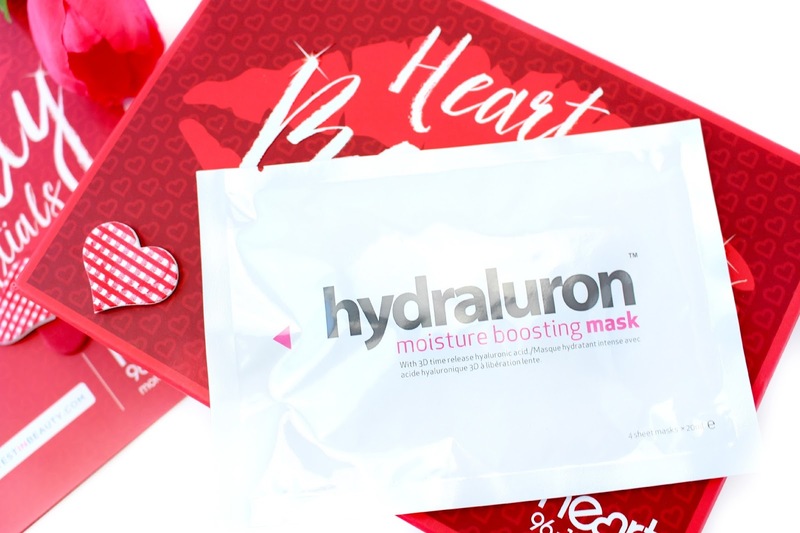 The thing I love most about 'The Heart Beauty Box' is the variety - You really can't fault it. There is everything from super cute hair ties to makeup and skincare too. Everything within the box is useful and I've already been making my way through most of the products! 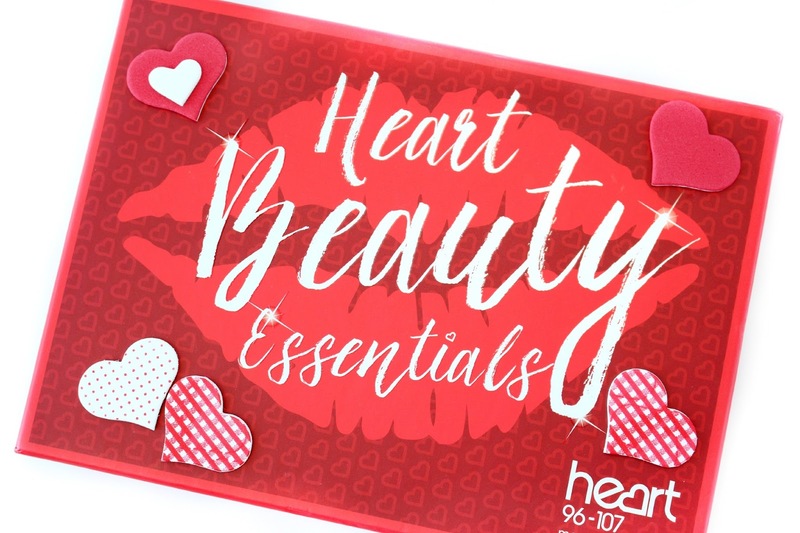 - I would 100% recommend snapping this beauty box up and now you can get it with an amazing 20% off using 'HEART20' I would love to hear your thoughts lovelies - Do you like the look of this box? This looks like a great box and love the lippie and nail polish shade. Such a fabulous box. Thoes hair ties looks so practical yet really easy on the eye. Looks like a really good box with so many amazing items. I have these kitsch hair bands and I really like them, they're really cute!